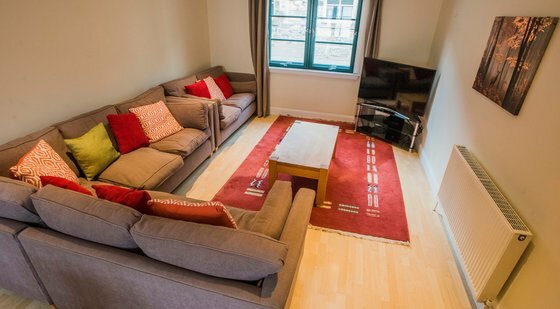 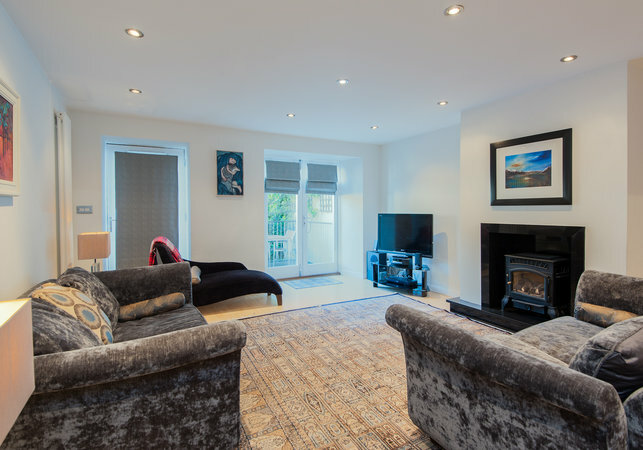 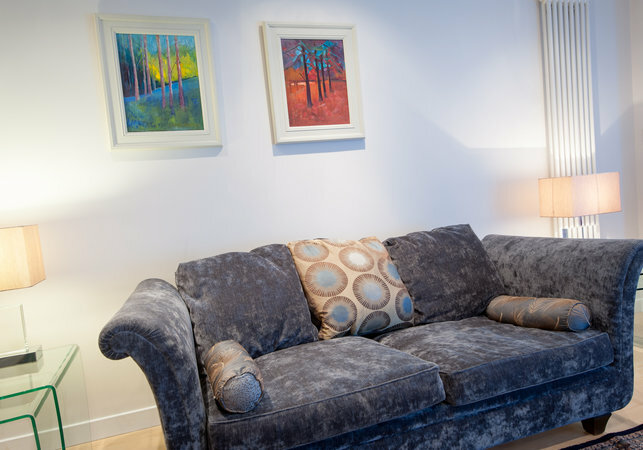 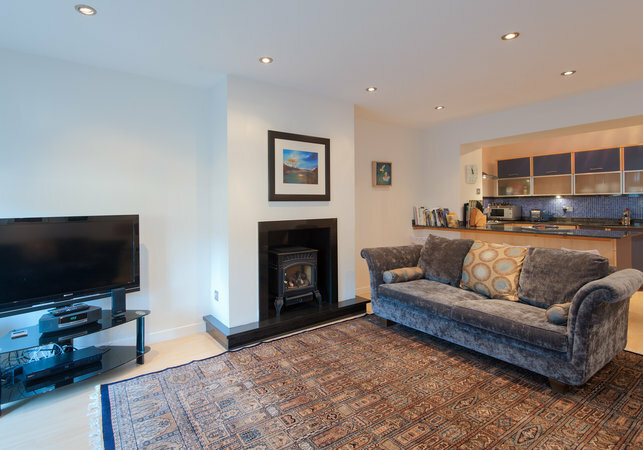 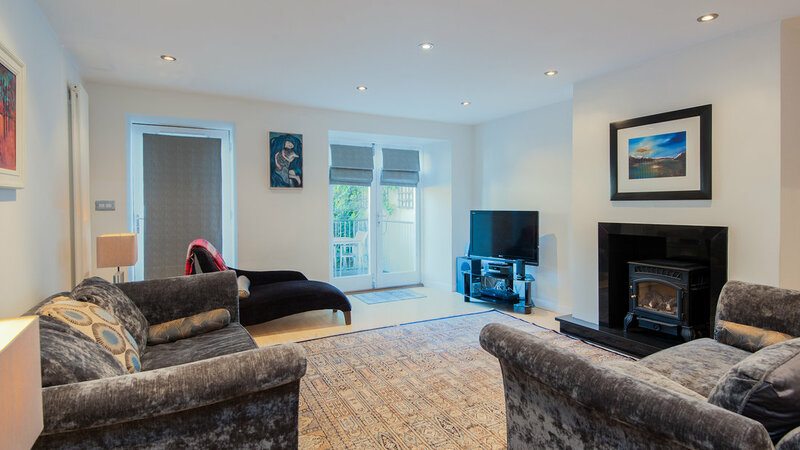 The living area is open plan, with feature fireplace and expertly furnished. 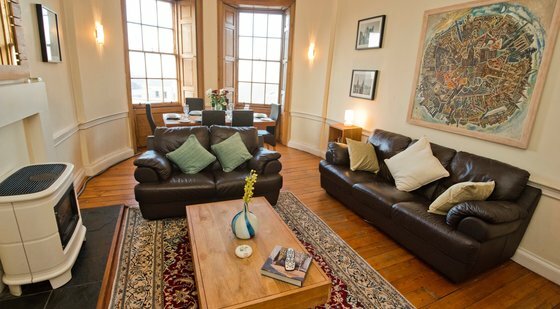 Cable TV, DVD player, DVDs, CD/Radio player and WiFi are all available for guests use. 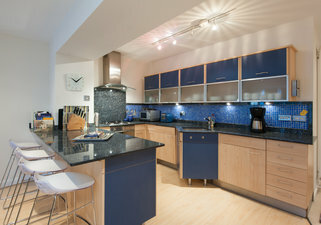 The adjoining kitchen comes with all mod cons, breakfast bar and coved dining area. 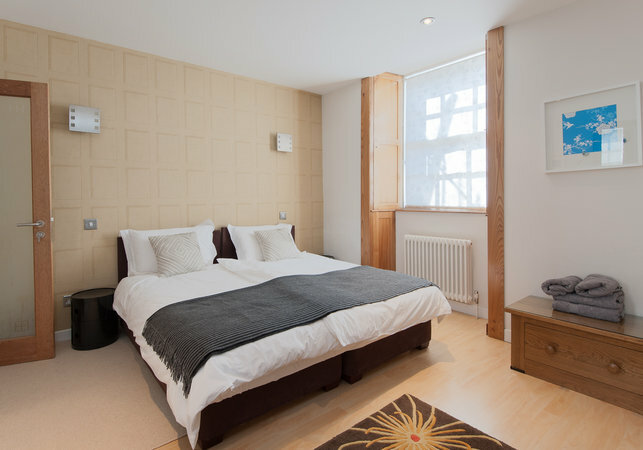 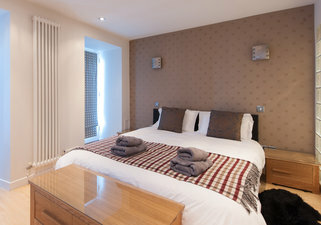 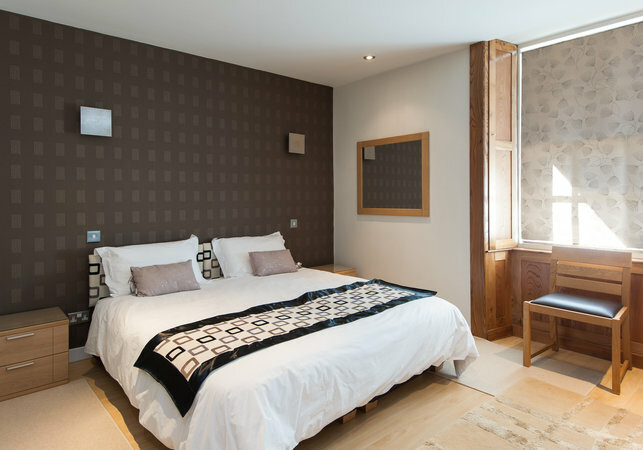 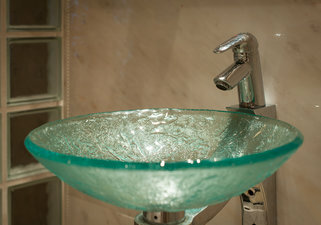 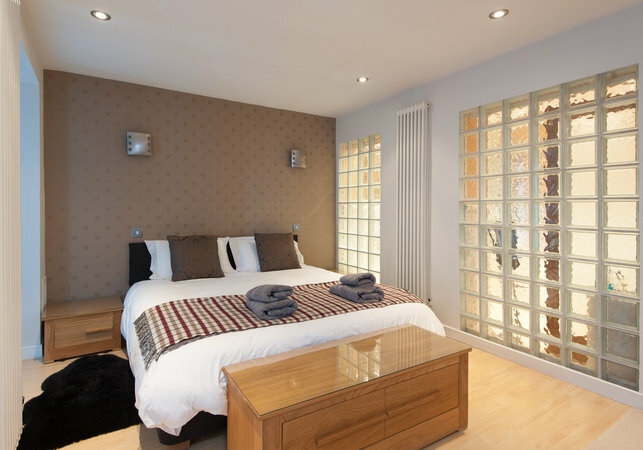 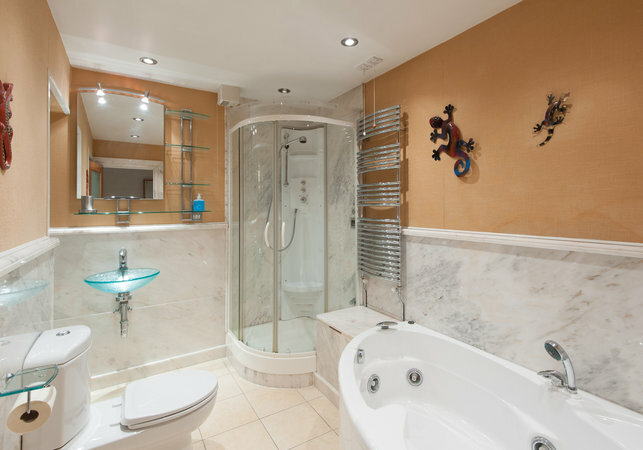 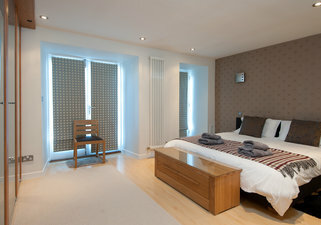 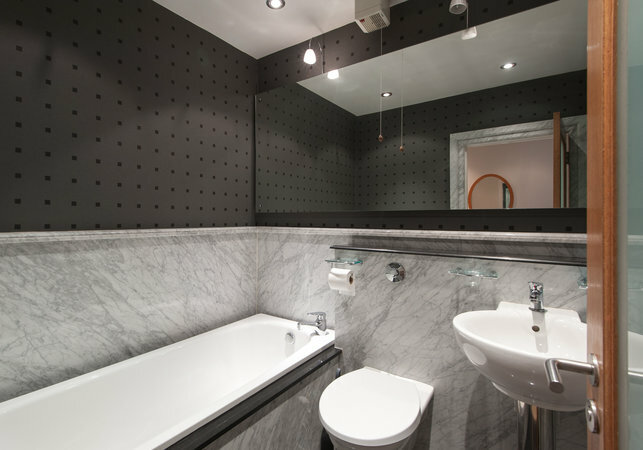 The three double bedrooms all feature their own en suite with either shower or bath, king size beds and ample storage. 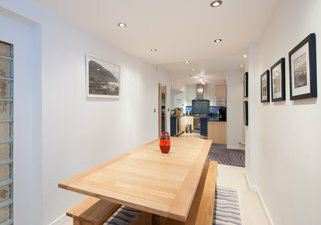 Open plan living area with lounge, kitchen and dining area. 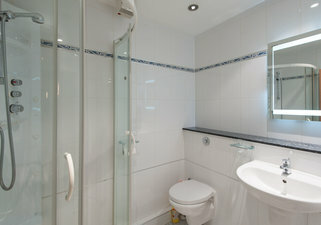 Three bedrooms, each with ensuite, and one additional family bathroom. 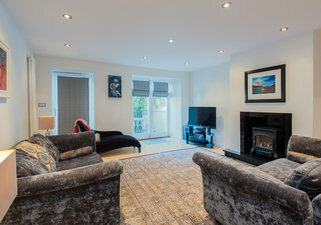 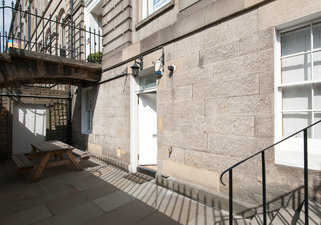 Lower ground apartment within a traditional Georgian townhouse. 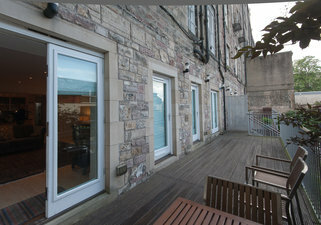 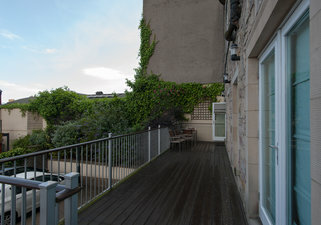 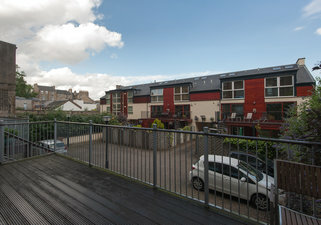 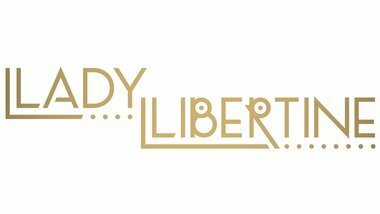 Small, private terrace to the front of the property, and private decking to the rear.